This entry was posted in Recovery & Support on September 16, 2014 by Platinum. 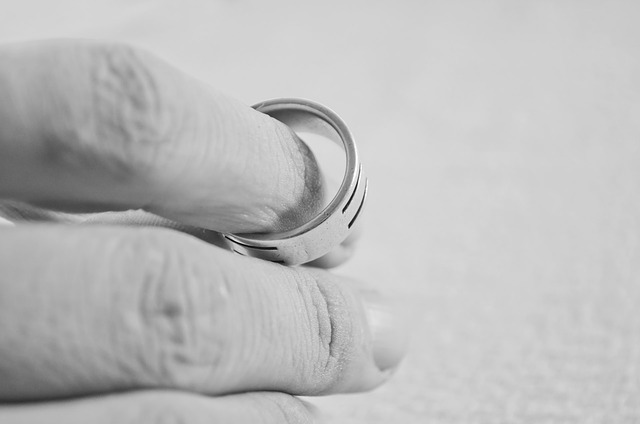 My name is Holly Richards and I am recovering from the surprise of a lifetime, something I never, ever considered: a divorce at 59 ½ after 25 years of marriage. My ex-husband told me that he wanted to move out when we were sailing into Venice, Italy on our 25th wedding anniversary cruise. We were on a trip with our best friends and their kids. We had our life plans made and were planning to retire at 60 and take a cruise around the world. Somewhere I missed the signs that something was wrong. And now 4 years later, I still don’t know exactly what happened to him or to us. From a financial perspective, I was fortunate to be in the technology industry. We had a home and a savings but I had no idea how this would be impacted by a divorce. From an emotional and self-confidence perspective, I was a wreck. Luckily, a friend referred me to an incredibly talented and capable family therapist, Rodney Robinson. He helped me through the divorce recovery process with many of the same tools he uses to help people through drug and alcohol recovery. In one of our first sessions, Rodney asked the toughest question of all – what makes you happy? I could not remember anyone asking me that before and I certainly had no answer for him. How could I have a happy marriage or a happy life if I did not know what I wanted or what made me happy? I needed to figure this out. I also needed to rebuild lost connections to fill the hole in my heart. My mother suggested I go back to church. I did. I walked in and the first song was about Jesus, how he loves and never leaves you. I was hooked. I tried every volunteer group in the church. My therapist steered me to connect with my siblings. I did. I connected with my two younger sisters and my brother. Good thing because we lost my brother this year to a heart attack. I also connected with my uncle who is like an older brother. He lives on the opposite side of the country. He became my spiritual guide and inspiration. Emails from him appeared just when I needed a lift in my heart. A girlfriend invited me to travel with her, her husband and daughter. How could I travel with another family when I spent 25 years traveling with my ex-husband? Rodney encouraged me to focus on the daughter and make her trip as wonderful as possible. My neighbor suggested that I make a list of all the things I was doing with family and friends that I would not have done when I was married. I did and the list grew from 5 to 10 to 25 things. The list contained trips and concerts and local volunteering. All of this was leading back to the question – what makes me happy. I learned that I need to take responsibility for my own happiness. I learned that my personality needs purpose and mission to be happy. I learned that to be happy I needed to make a difference, have a vision and help other people. Once I learned this, I started to explore what I wanted to do next in my work life.